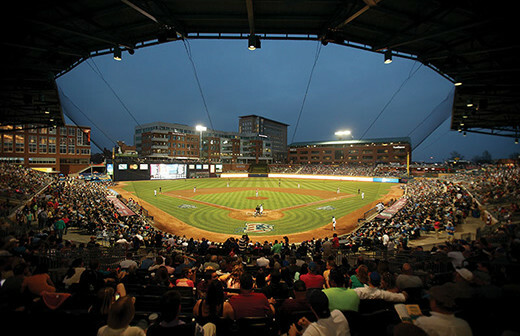 Nationally acclaimed home of the Durham Bulls Triple-A baseball club, made famous by the 1988 movie Bull Durham. 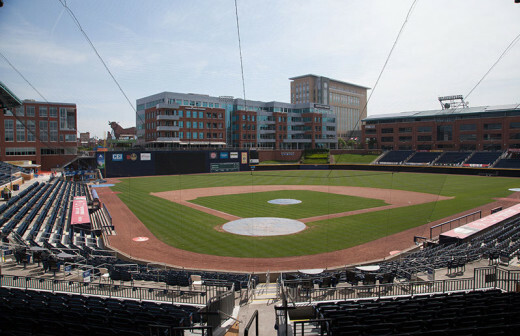 Designed by the same architects who created the historic Camden Yards in Baltimore, DBAP includes a 32-foot high left field wall dubbed the Blue Monster, complete with a towering bull on top, terrific views from each of the 10,000 seats in the park, and a brick design that both hearkens back to baseball’s storied fields (including the original Durham Bulls stadium) and matches the historic tobacco warehouses surrounding the stadium. 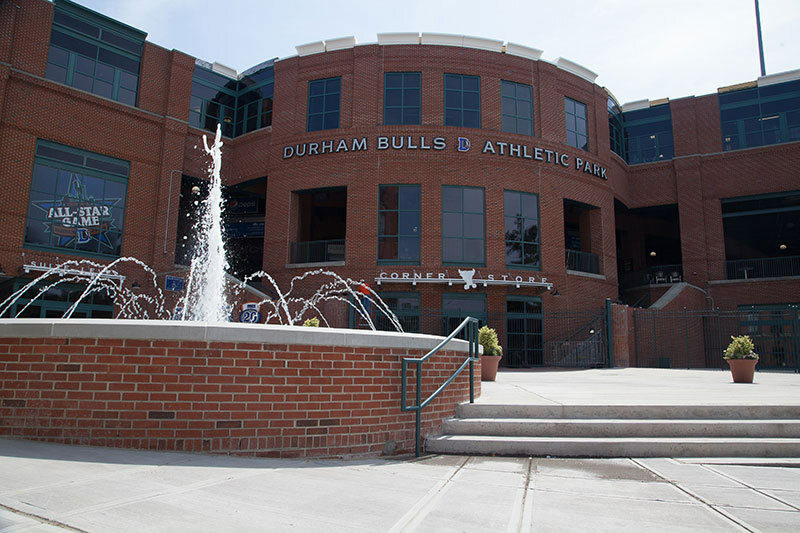 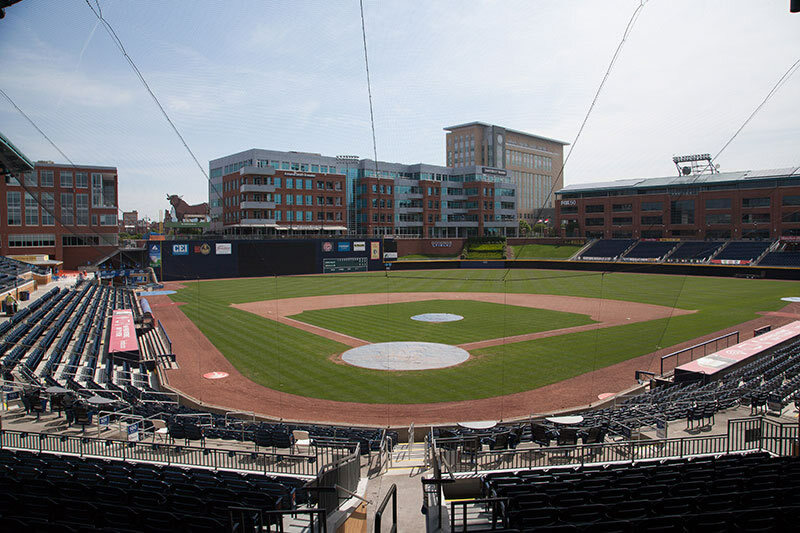 Skyboxes, comfortable seats, a playground for children, many food options, and the year-round Ball Park Corner Store with Bulls' memorabilia mean that a AAA baseball game at DBAP is a memorable experience.